At the present time, January 3, 2019, I am not taking new clients unless you are referred by your physician, or a prior client of mine. Check back for new announcements! "I have been going to Ruth Ann Holloway for acne scarring since April of 2017 and I highly recommend her to anyone looking to beautify his/her skin. Since the moment I walked into her office, Ruth Ann was very personable and genuine. Definitely will keep going back! -L.C." 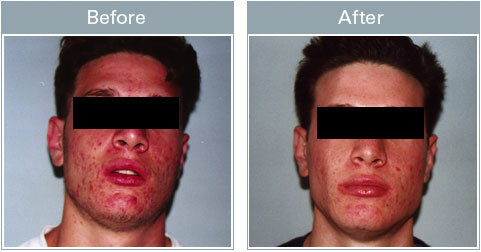 Micro-IPL Phototherapy is an effective treatment for inflammatory acne, using intense light and heat energy. "…Not only are acne patients responding, but they are remaining clear during the follow-up period, which is three months so far. And they are doing well during these three months. Although the final numbers are not in, it appears that we are clearing between 50% to 60% of the really bad acne.” Michael Gold M.D. Now an acne treatment solution! 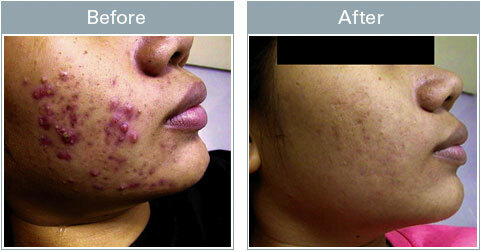 Acne-IPL Phototherapy...HOW DOES IT WORK? Light is drawn to the melanin in skin, raising the temperature of the skin surrounding the follicle. 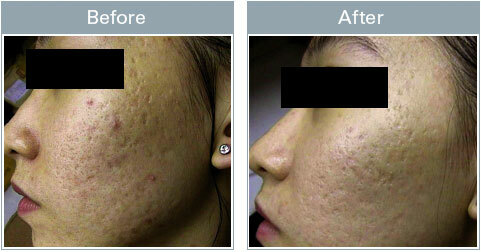 Intesnse light Acne IPL-Photo Therapy clears acne safely and effectively with a series treatments. The green-blue wavelength light penetrates deep into the skin to cause an increase in porphyrins, resulting in the destruction of P .acnes bacteria. The green-blue wavelength produces anti-inflammatory results. The addition of heat, helps increase the effectiveness by opening the skin pores and promoting a faster chemical reaction, thus healing. The science behind the treatment! Acne-Micro IPL Photo Therapy has made tremendous scientific strides in the effective treatment of acne and clearer skin, for young skin care or adult acne. Acne-Photo Therapy treatments uses its ability to produce the required photochemical reaction from porphyrin activation to oxygen production. This reliability is based on three controlled parameters - wavelength, temperature and concentration of photons of light. Propionibacterium, also known as P.acnes bacteria, is a common anaerobic bacteria (lives in a non-oxygen environment) and is believed to be one of the major causes of pustular and cystic acne. P.acnes bacteria secrete a pigment known as porphyrin. When stimulated, porphyrin produces a molecule of singlet oxygen within the follicle. This oxygen in turn attacks the P.acnes bacteria destroying it. The goal of acne photo-therapy therefore, is to stimulate the porphyrin to produce oxygen. Breaking the Barriers in Acne Clearing! The treatment is optimized by combining direct heat with Acne-Photo Therapy, which raises the temperature inside the follicle affecting a much faster chemical reaction time than what blue light treatments alone generate. The heat inside the follicle reduces inflammation, opens the pores and helps soothe the painful lesions often associated with acne. Eight treatments, 2x a week, 4 weeks. 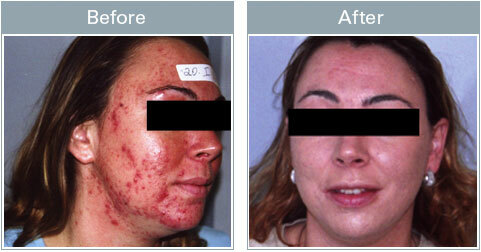 Acne IPL MicroPhototherapy is FDA approved.